I was at a vintage store and spotted the earrings below. I love the colors of Autumn reflected in the enameled leaves and crystals. And, of course, they are super long and eye catching. I was not familiar with this brand called Lunch at the Ritz so I did a little research and discovered they were founded in 1982 and they are still in business producing the same style jewelry. They make mostly earrings, very colorful and in whimsical designs, which lend the pieces towards being very collectible. 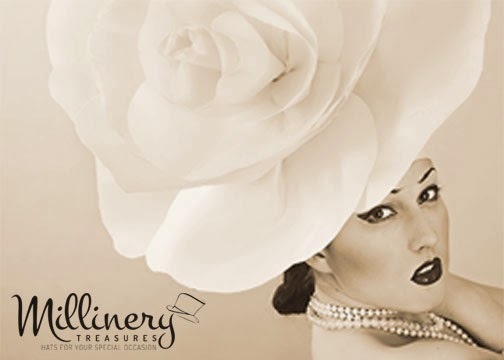 Their website is extensive and has a section where they picture some items from their archives by year, which is fabulous for collectors and lovers of vintage. I also love their description of the company that acknowledges that some women love the brand and will buy hundreds of pairs of their earrings and have requested to be buried in them, and other women essentially wouldn't be caught dead in them. I appreciate a retailer with a little sense of humor. That is definitely reflected in their fun designs. Check them out: www.lunchattheritz.com.